Bethesda will never allow Obsidian to work on another Fallout game, despite many fans of the series shouting, “Fallout: New Vegas is the greatest Fallout game,” and demanding another installment in the series from Obsidian. Bethesda received a lot of criticism for creative and design choices they made with Fallout 4 and significantly more criticism for the most recent installment in the franchise, Fallout 76. I only played Fallout 76 briefly for two days and have not had any inclination to play it since. While there is no definitive consensus on Fallout: New Vegas being better than Fallout 3 or Fallout 4, it is likely that Bethesda does not want another situation like this on their hands, which is why Obsidian has not been given the tools to create another outstanding Fallout game. However, with the reveal of The Outer Worlds, it seems that Obsidian has found a workaround. 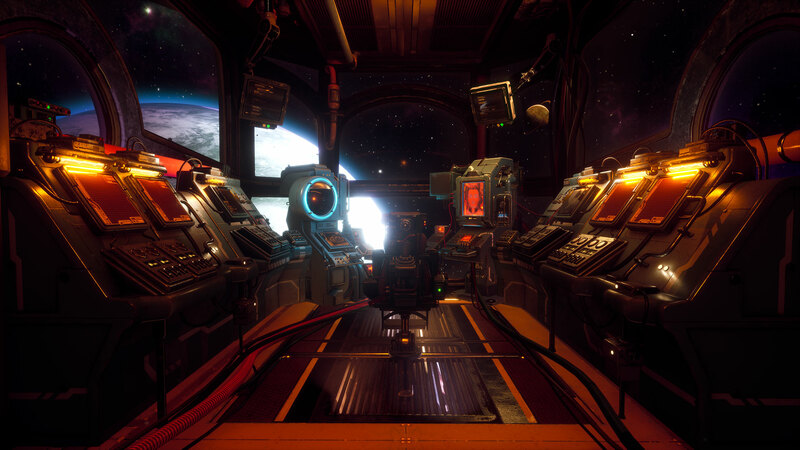 Very little is known about The Outer Worlds at this point, but the plot sounds interesting. Particularly more interesting than chasing a trail holotapes around West Virginia. The aesthetic of this game is an intriguing one meshing a combination of Borderlands, Fallout, and Rage. The set pieces look like they could fit perfectly into a Borderlands game, the color choices look a lot like what we have seen of Rage 2, and gameplay looks similar to Fallout with VATS being replaced by a time slow mechanic. 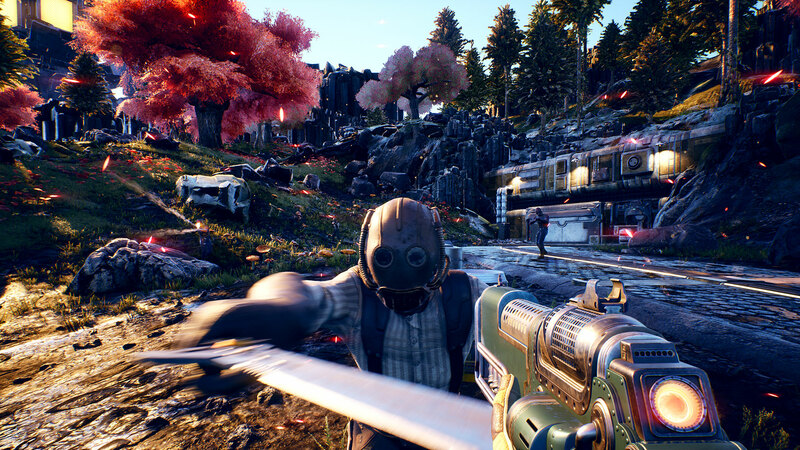 We also know that The Outer Worlds will not be a AAA release and the world will not be truly ‘open-world.’ Think of a world more similar to Borderlands, which technically has an open-world, but is actually a series of levels connected by load doors. Do not expect a wide open world that matches the likes of Fallout: New Vegas or Red Dead Redemption 2. Multiple planets will be visited in The Outer Worlds, though and that is much cooler than having one open world. Smaller levels will allow for better level design, though, which is a component missing in a lot of open world games. The Outer Worlds will be available on PS4, Xbox One, and PC sometime in 2019. Maybe that will be enough time to figure out that this game is called The Outer Worlds and not The Outerworlds. Joining Steam, Uplay, Origin, GoG Galaxy, Battle.net, Green Man Gaming, Humble Store is the Epic Games Store. Is this a good or a bad thing? The Epic Games store is now open, featuring awesome high-quality games from other developers. Our goal is to bring you great games, and to give game developers a better deal: they receive 88% of the money you spend, versus only 70% elsewhere. This helps developers succeed and make more of the games you love. The more storefronts that exist in the PC marketplace, the better for the consumer. Steam is the king of sales and this has tremendously helped Steam remain at the top of this market. More competition does not mean that prices will go down, but it does mean that you will be more likely to find the game that you want on sale at any given point in time somewhere. Every time that I have bought a game from Green Man Gaming, it has been because that is where the game was the cheapest or because that was the only store that had the game on sale. This also rings true for every purchase that I have made at the Humble Store, however, I take significant advantage of the 10% discount that Humble Bundle subscribers receive when games are not on sale or first come out. Selling games on the Epic Games store is better for game developers because they will receive more of the profits than they would on Steam. Steam takes 30% of the revenue, but it looks like Epic Games will only take 12% of the revenue. That is a big advantage for game developers. Steam is ridiculously swamped with games, graphic novels, and not-games. It is nearly impossible for indie games to see the light of day on the storefront or to appear in search results. There are a great many indie games that have probably been buried in the landfill that is Steam’s catalog. The Epic Games store is a brand new slate with an extremely limited catalog. Epic Games will definitely grow their catalog in the coming months, but will not have an overwhelming catalog any time soon. Launchers, launchers, and more launchers. So many launchers. All of your games are not in one unified space. Say you want to play Far Cry 4, but you opened Origin by accident. Now you have to wait on Origin to open, exit out, open Steam, wait on Steam to open, Steam fails to open so you open Steam again, Steam has to update, Steam finishes updating, you finally click to play Far Cry 4, but now Uplay is opening, because Ubisoft, and guess what! Uplay also has to update so by the time you actually get to play Far Cry 4, you have to go to work. Of course, if you remember exactly which launcher every game uses, you will not have this issue. What if all of these companies suddenly through subscription services onto their launchers? If there was only one launcher, you would only pay one fee to play all your games, but if there are five launchers, you have to pay five fees or severely limit your gaming options each month by rotating out which launcher you are going to pay to use. It will be more difficult to find and buy games, because games may release exclusively on one specific launcher. Instead of being able to scroll down one store page, you will now have to scroll down five or more store pages to find games. The Epic Games store has launched with only four games, but they will be adding more in the future. Right now the four games available include Hades from Supergiant Games, Ashen from Annapurna Interactive and A44, Hello Neighbor Hide & Seek from Tinybuild, Shadow Complex, Unreal Tournament, and Fortnite from Epic Games. Every two weeks, Epic Games will provide a free game. The first free game will be Subnautica (December 14-27) and the second free game will be Super Meat Boy (December 28-January 10). Games that will be added to the store in the future include Darksiders III, Outer Wilds, Journey, Super Meat Boy Forever, Rebel Galaxy Outlaw, World War Z, Satisfactory, Subnautica, Genesis Alpha One, and Man Eater. We will see how the Epic Games store shapes up throughout the course of 2019.